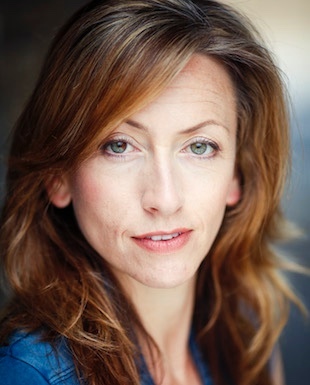 Mairi is a professional Director, Choreographer, Teacher and Performer. Originally from Fife, Mairi trained at the Dance School of Scotland in Glasgow then continued her training in London at Arts Educational. Mairi directed Beauty and The Beast 2017, Jack And The Beanstalk 2016/2017 and Cinderella 2015/2016 for Imagine at Palace Theatre (Newark), Sleeping Beauty 2014/2015 for Imagine at Southport Theatre and Beauty and the Beast 2013/2014 for Imagine at the Woodville Theatre (Gravesend). She was Children's Director for the 2011/12 production of SOUTH PACIFIC (Barbican & UK Tour) as well as Director/Choreographer for GOING SOUTH (Comedy Cabaret Act) AND THE WORLD GOES ROUND & VARIETY PERFORMANCE (Newcastle College) and SONG BOOK (Royal Academy of Music). Assistant Director credits include: BEAUTY AND THE BEAST (Hexagon Theatre, Reading) FAME (European Tour) and INTO THE WOODS (Royal Academy of Music). Choreography work includes: MUSIC VIDEO (Jimmy Sommerville), 1st YEAR DANCE/ CHORAL, 3rd YEAR CABARET& Dance Show (Arts Educational Musical Theatre Course) and MUSIC & DANCE COLLABORATION- (Henry Wood Hall, Glasgow). Assistant Choreographer & Dance Captain credits include: JACK AND THE BEANSTALK, MY FAIR LADY & ALADDIN (Perth Rep Theatre), INTO THE WOODS (Royal Academy of Music), as well as numerous projects at Arts Educational and Mountview Theatre School. As a performer, Mairi has appeared in: Let The Right One In (Apollo Theatre,West End), South Pacific (Barbican & UK Tour), Scrooge (UK Tour), A Chorus Line (Lowry Theatre, Salford), It's A Wonderful Life (New Wolsey Theatre, Ipswich), Eurobeat (Novello Theatre, West End & UK Tour), Fame (European Tour), Chitty, Chitty, Bang, Bang (UK Tour), Sleeping Beauty (Sadlers Wells, London), Love Shack -original cast (UK Tour), Barbarella (Vienna), Starlight Express (Germany), Cinderella (Wyllotts Theatre, Potters Bar), My Fair Lady, Aladdin and Jack and the Beanstalk (Perth Rep Theatre). Film/television credits include: The Trip (BBC 2), An Ident for BBC3, dancing for Simply Red at the Brit Awards, Kavanagh QC, a BBC Training Video and various other appearances on German television. Other credits include: Oilatum Photography Stills.